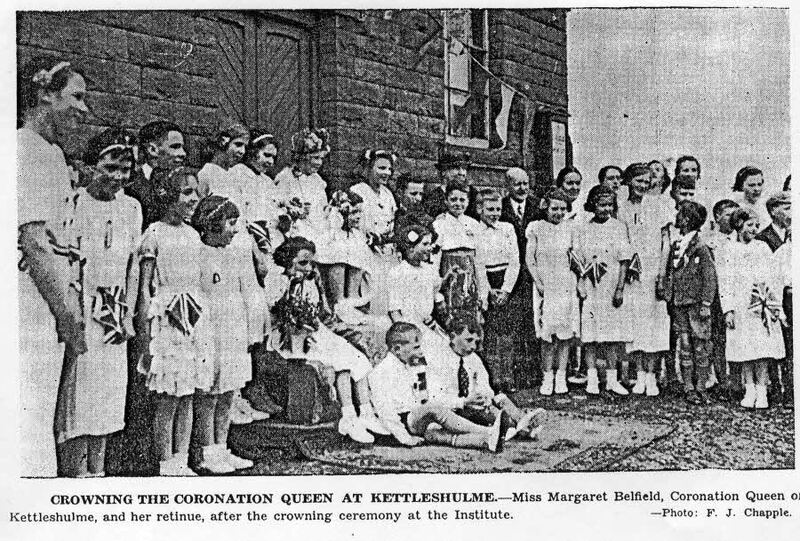 The photo id for this photograph is 925, in the Kettleshulme album. I wonder if this is the mother of Elizabeth Belfield who became a Rose Queen in the 60s? Outside the Village Hall by the look of it. No Sally, Margaret would be Elizabeth's cousin I think.